1: Alex had his first soccer game. He didn’t play in the fall because of marching band and I thought he played well for not having played in a while. 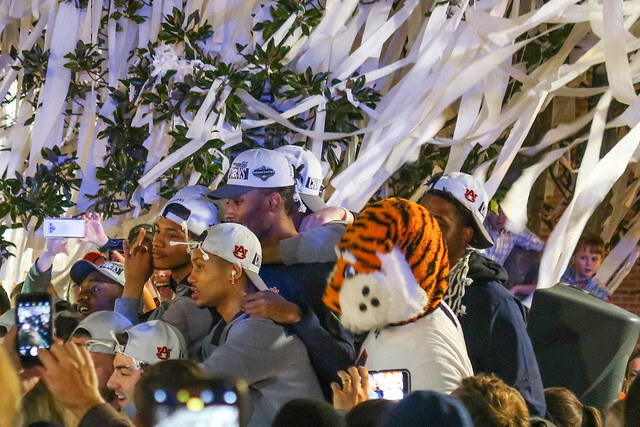 2: Last Sunday Auburn Men’s Basketball played Tennessee for the SEC Championship in Nashville, TN and won big! Drew is in the Pep Band that got to go. 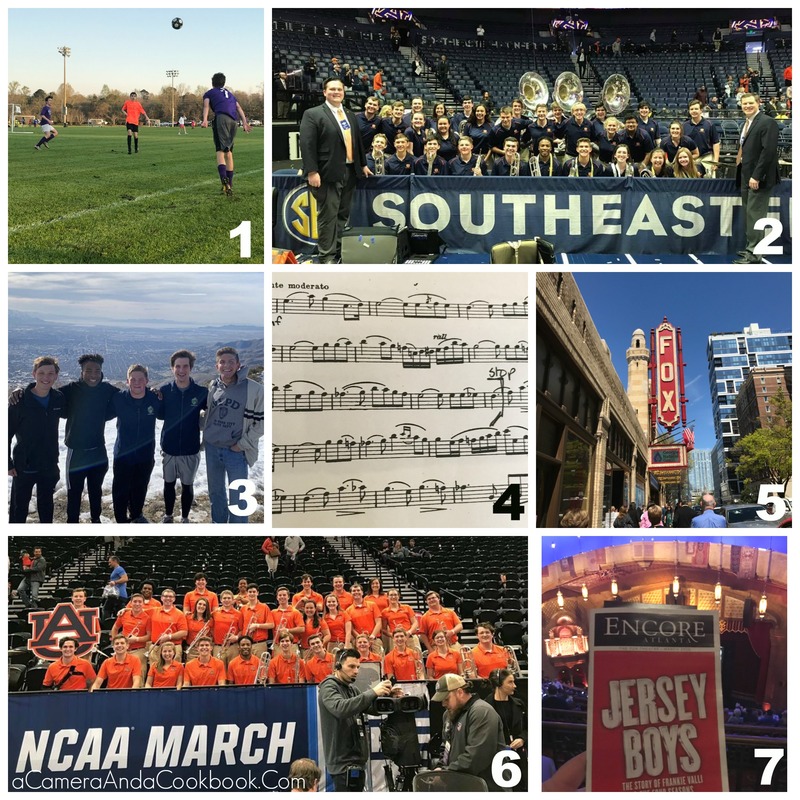 3 & 6: As part of the selected Pep Band, Drew left on Tuesday and got to fly to Salt Lake City with the Men’s Basketball team for the NCAA March Madness Games. Since their game wasn’t till Thursday, they got to do some site-seeing. Auburn won the first game Thursday and so they stayed there for the next game which was Saturday. We beat Kansas and now get to play in the Sweet 16. Drew got home yesterday, but will leave later this week to go with the team again to Kansas City for the Sweet 16 games. 4: This is Alex’s band placement music, which he played last week. This is the placement test to determine what band he will be in next year for 10th grade. 5 & 7: Saturday, Rob and I took an impromptu date up in Atlanta. We enjoyed lunch at Takorea, which is a restaurant where Korean and Mexican food collide in an amazing way. After that we walked over to the Fox for Jersey Boys. I have a whole new appreciation for Frankie Valli and The Four Seasons. Great show! I forgot to include this is my pictures above…On Sunday, after the AU Men’s Basketball team won the SEC Championship, they flew home and we went to Toomer’s Corner to welcome them back. Keep an eye on the Next Door app…You never know when your very own neighbor might be throwing you under the bus (like ours did).